A friend tipped us off to the existence of an online archive of photographs from the Pacific Tribune, Vancouver's labour newspaper back in the day. And look at the gems we dug up! 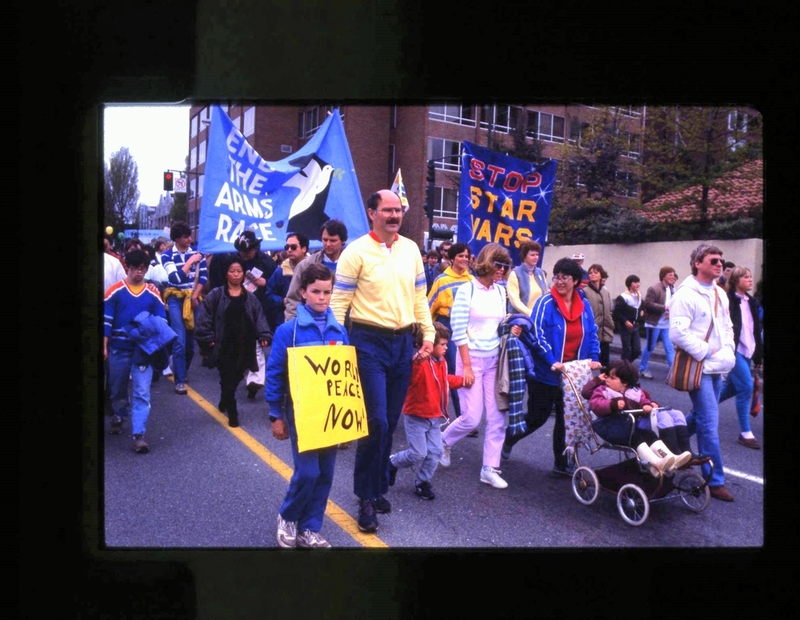 Carmela leading the 1986 Walk for Peace with Susanna and Martina in the stroller, walking with Mike and Becky Harcourt and their kids. That's Carmela holding Susanna, two over from Phil Rankin. Carmela was one of the VSB trustees fired by the Socred government for refusing to implement funding cuts. 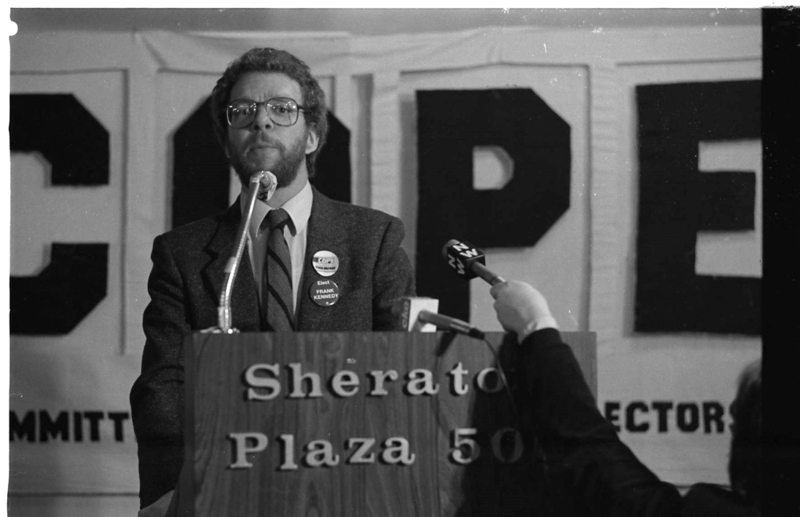 Not only are these pictures fun reminders of an exciting time in BC politics (and 80s eyewear trends), they are testaments to our firm's long history of commitment to progressive causes. We all cut our teeth as activists - in the labour, peace, anti-poverty, tenants' rights, and student movements - and our fierce advocacy as lawyers is fuelled and instructed by those early days. Last week the Supreme Court of Canada decided to hear an appeal of a decision involving a B.C. woman and Facebook. Debbie Douez sued Facebook under the B.C. Privacy Act for using her name and profile picture in sponsored stories without her permission. The B.C. Privacy Act is distinct from the province’s Personal Information Protection Act or Freedom of Information and Protection of Privacy Act and has existed for far longer. The Privacy Act gives British Columbians the right to sue for damages when their privacy has been unlawfully violated. Under the Privacy Act, people have been awarded damages ranging from $5,000 to $35,000 for breach of their privacy rights. The Privacy Act specifically restricts the unauthorized use of the name or portrait of a person for the purpose of advertising without that person’s consent. Ms. Douez sued Facebook on the basis that their use of her name and profile picture in sponsored stories violated the Act. She also initiated a class action on behalf of other B.C. residents. The B.C. Court of Appeal essentially determined that she must sue Facebook in California instead of British Columbia and stayed her claim and the class action. As a lawyer – and a privacy enthusiast - I‘ll be watching the outcome of this case very closely.